As host of Food Network’s hit show Chopped, Ted Allen presides in pinstripes and sneakers while chefs scramble to cook with mystery ingredients. But at home, Ted is the one chopping the vegetables and working the stove, trying unusual ingredients and new techniques, from roasting earthy sunchokes in a piping-hot oven to develop their sweetness or transforming leftover pinot noir into complexly flavored homemade vinegar. In fact, it’s discoveries like these that propel him into the kitchen nightly—that, of course, and eating the delicious results with friends! 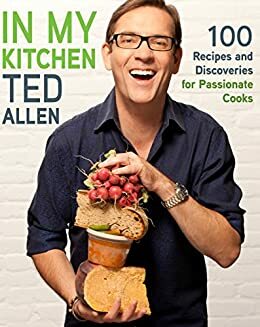 Now Ted invites likeminded cooks to roll up their sleeves, crank up the stereo, and join him in the kitchen for some fun.